Providing houses for rent in Boulder, CO, for over 25 years, we’re skilled at matching the perfect rental properties with students, young professionals, and new residents! We are a family-owned, owner-operated business that knows the Boulder, CO community and can help manage your local properties. When it comes to apartments, condos, and houses for rent in Boulder CO, our rental property management solutions offer one of the widest ranges available to choose from. Working with Boulder Property Management is a great way to secure just the right place for your next home. Started in 1993, our business has always been focused on providing people, families, and parents access to the best and safest properties in town. We understand that many renters are new to the area, uncertain where the best neighborhoods are, not clear on how to use our public transportation system, or just overwhelmed by the many choices. We can help! Our expert team of leasing agents understands the challenges that come with finding an apartment or house to rent in Boulder. They are here to help you find the right place to live. We know the University of Colorado–Boulder community, what locations make great accommodations near campus, the neighborhoods that offer easy access to our many public pathways, and which areas can make you feel part of college life. Not a student at CU Boulder? No problem! Our expertise extends to new residents to help you make the most out of living in Boulder! 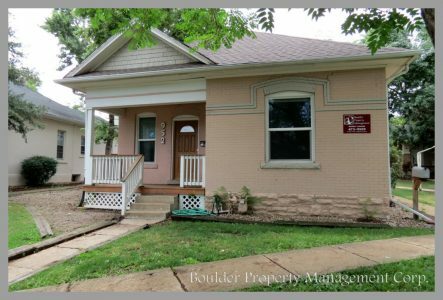 Boulder Property Management is one of the best rental property management companies for finding houses and apartments to rent in the Boulder area, and we have hundreds of rental properties in which to choose from. Our apartments, condos, and houses for rent in Boulder are just some of the inventory types plus we can also help you find duplexes and triplexes, single-family homes, townhomes, cottages, and cabins. We even have available sublets! Not sure what neighborhoods to consider for your property rental? Contact us! We provide houses for rent throughout the Boulder area. We offer an extensive number of properties On the Hill across from the CU Boulder campus, near Pearl Street, in North Boulder, South Boulder, Table Mesa, Goss/Grove, Martin Acres, and more. Boulder Property Management can help you define the kind of home you are looking for, the location you’d like to live, and pick out just the right rental for your budget. Our rental process is fast and efficient, with most of the needed forms and applications all online. We make it easy for you to move to Boulder!